Russia says it is disappointed that the UN did not pay “due attention” to additional evidence regarding the use of chemical weapons in Syria, which Damascus presented to UN investigators. “We are disappointed that there was no due attention to it in the report that was presented in New York this week,” Ryabkov told reporters in Damascus. Russia’s Deputy FM said the evidence from the Syrian government can be considered “very effective”. The evidence was handed over on Wednesday to Russia’s Deputy Foreign Minister Sergey Ryabkov, who met Syrian Foreign Minister Walid Moualem and President Bashar Assad in Damascus. “That is really true. Just now we were given evidence. We need to analyze it,” he told RT. 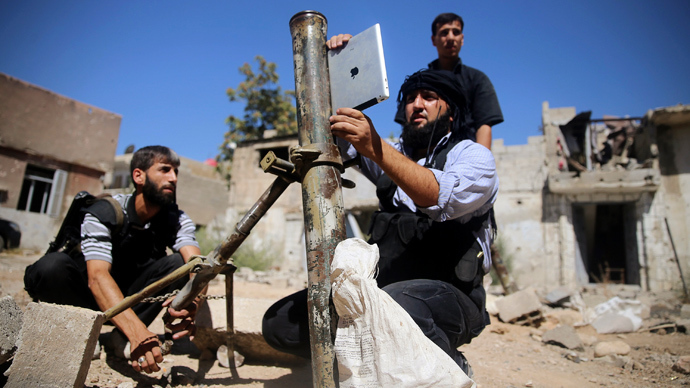 He didn’t describe further the evidence Damascus had presented, although it apparently is meant to prove that rebel forces have access to chemical weapons and used it in the conflict. He also criticized the UN report, saying that Russia is disappointed with its “biased” and “politicized” nature. Ryabkov stressed that the evidence the UN team presented is full of technical details and “too factual” so that it is not enough to draw "far-reaching" conclusions. "We are unhappy about this report, we think that report was distorted, it was one-sided, the basis of information upon which it is built is not sufficient, and in any case we would need to learn and know more on what happened beyond and above that incident of August 21," Ryabkov told RT. The UN released a 38-page report on the incident, which confirmed that chemical weapons were indeed used in Syria on August 21. The inspectors behind the report were not authorized to name a suspected culprit in the attack, and the evidence they presented is now subject to conflicting interpretations. 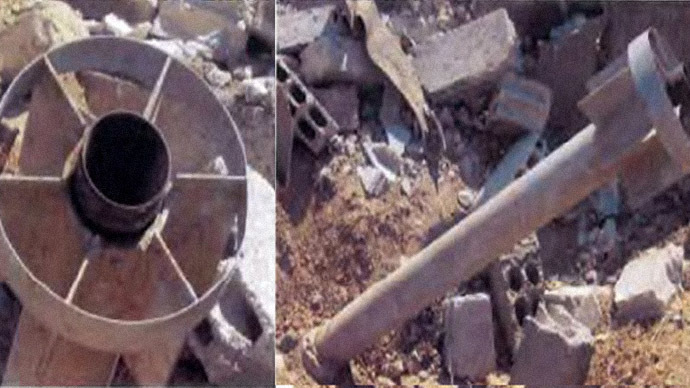 The report stated that the warheads used in the Syria chemical attack “could be original or improvised.” The conclusion came after inspectors collected over 30 samples from both victims and nearby soil in the Damascus suburb last month. The UN team noted that they had limited time to conduct the investigation and cautioned that evidence might have been “moved” or even “manipulated” since others visited the sites before and during the investigation. 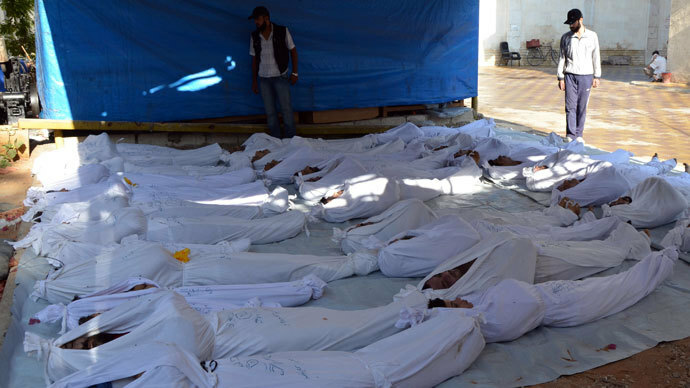 Several Western countries, including the US, viewed the UN report as not leaving any doubts that the Syrian government was responsible for the August 21 use of sarin gas. Russia says those countries are jumping to conclusions and should wait for a final UN report, which is expected to be based on evidence gathered at other sites of alleged use of chemical weapons in Syria. UN inspectors were conducting their investigation of those earlier incidents, but their mission was put on pause, as the inspectors were called to probe the latest attack and present an intermediate report on it alone. Moscow says that if all evidence is taken into account, the August 21 chemical attack appears to be a rebel provocation. Russia has brokered a deal under which the Syrian government has agreed to scrap its chemical weapons arsenal in order to defuse tension that mounted after the August 21 sarin gas attack. The agreement, prepared by Russia and the US, put on hold America’s plans to use military force against Syria over the attack, which Washington blames on the government. The five permanent members of the UN Security Council (UNSC) have begun negotiating a resolution on chemical weapons in Syria, which was presented at the meeting on Tuesday, RIA Novosti quoted a UN source as saying. "France, Great Britain and the United States introduced a draft resolution today at a meeting of the five in New York," the source said, adding that Russia and China will be studying the resolution. Russian Foreign Minister Sergey Lavrov clarified Russia’s position on the future document on Tuesday, saying that the resolution in support of the plan to destroy Syria’s chemical weapons won’t refer to Chapter 7 of the UN Charter, which grants the Security Council a right to use military force to restore peace, Lavrov stressed. 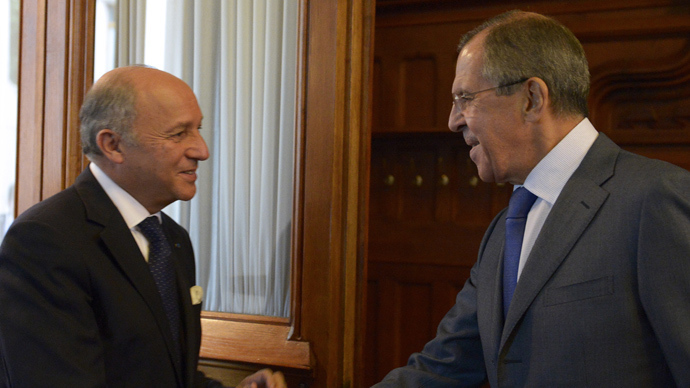 The resolution, Lavrov stressed, is meant only to affirm the UNSC’s support of the roadmap for the destruction of the chemical weapons stockpile, which will be penned by the Organization for the Prohibition of Chemical Weapons (OPCW). In the meantime, US Secretary of State John Kerry asserted that the US-Russian agreement for Syria to hand over its chemical weapons needs to be backed by a UN resolution in order to ensure Syrian President Bashar Assad’s compliance. 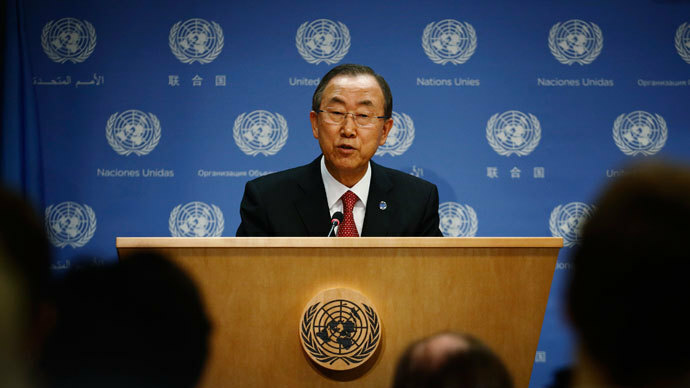 "That will happen only with the United Nations passing a strong resolution. It will happen with the enforcement of the world, with Russia standing by us in this effort, and it will happen, finally, because Assad lives up to what he has agreed to do," Kerry told reporters. Earlier, in response to a question from a journalist on whether the chemical weapons deal gives Assad job security, State Department spokesperson Jen Psaki said that any government in place would be in charge of seeing it to the end. “Any individual, any government that is in place, whether that’s a transitional government, whatever it may be, would be in charge of implementing this. And that is the body that would work through this,” she said.